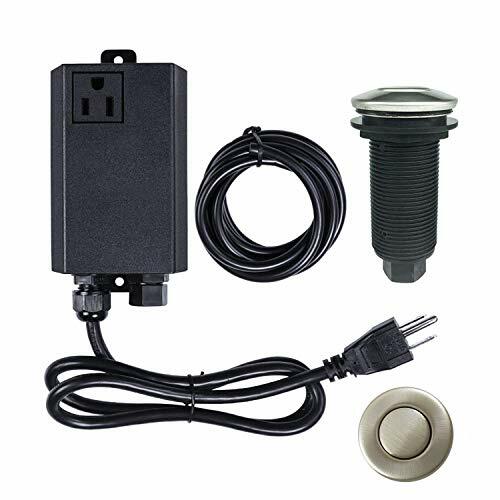 Product description: About products: Air Switch Kit is connection device as a part of garbage disposal, massage chair,or jacuzzi.It has four color and two different lengths switch button, you can be free to choose one you need.The outstanding point -- the material of our power box is aluminum alloy which is more durabel than other plastic ones on the market. Qusetion 1:Why the air switch can not work or do not work well? Answer 1 : A. Please check the two connection between air tube with power box and air tube with air switch button. B. PLease check the power of your machine.If the power of your machine is beyond 1HP, it is impossible for the air switch kit to work well.And the recommend power of machines is about 3/4 HP or 560w. Note: Once you have any problems after receiving products, please be free to contact us with e-mail. BUTTON OPTION - 10 different finishes which over any of your faucet combination needs. There are SHORT/2" and LONG/2.5" two length choices for each finishes; Due to the thickness of your counter top, choose the one you need most. SAFETY - It can complement any Modern or Traditional Kitchen Faucet Design.Our Air Switch Kit is a stylish alternative to the traditional wall switch and a perfect fit for Island Installations and works with any disposer. Wet hand can push air button directly, but be careful too much water fall into air tube will broke the kit. INSTALLATION - Air Switch is easily mounted and operated (with one push on and another push off). The diameter of countertop hole should between 1 1/4 to 1 4/5. Standard sink hole for soap dispenser is suitable, otherwise you need drill a hole by yourself. NOTIFICATION - Once water or food scraps fall into the air button or tube, the kit cannot work well. Please disconnected the whole kit clean and connected again to make it work again. If it still cannot work, please contact us, we will be ready to help you. 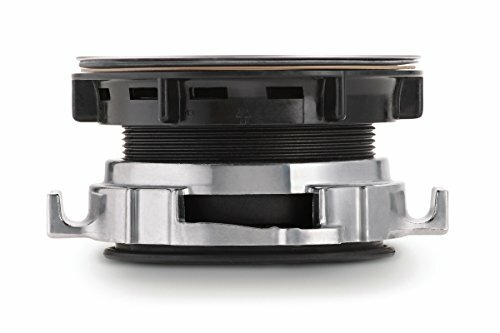 Waste King 1025 Splash Guard & Stopper. For EZ Mount Garbage Disposals. Replaces For Ez-Flo 30102,GE WC03X10010 ,In-Sink-Erator ER1010B, 30102. Made of neoprene for long life. Easy to replace; no tools required, removal of disposal is not necessary. 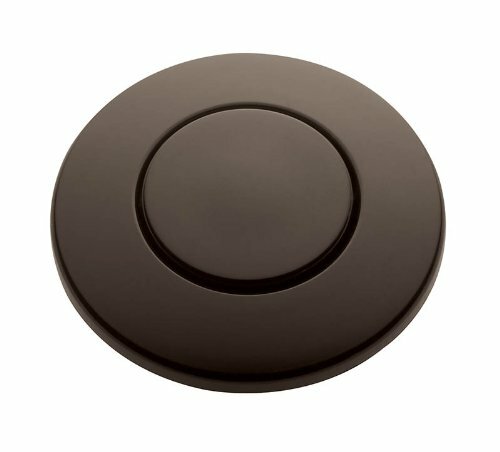 STC-ORB Finish: Oil Rubbed Bronze Features: -Button for use with the STS-00. 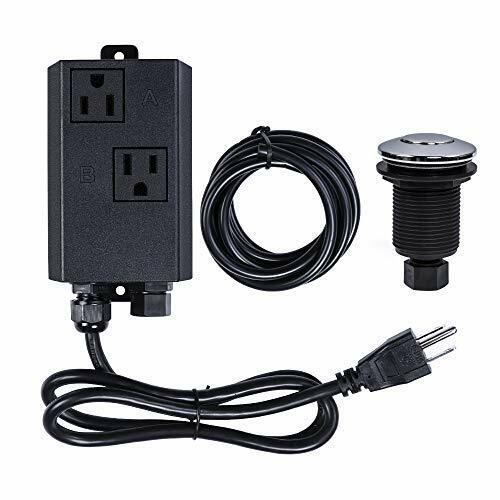 -For use with the InSinkErator SinkTop Switch. -Use of abrasive cleaning solutions may harm this product's finish. Country of Manufacture: -United States. Product Type: -Stoppers/ Flanges. Dimensions: Overall Product Weight: -0.15 lbs. 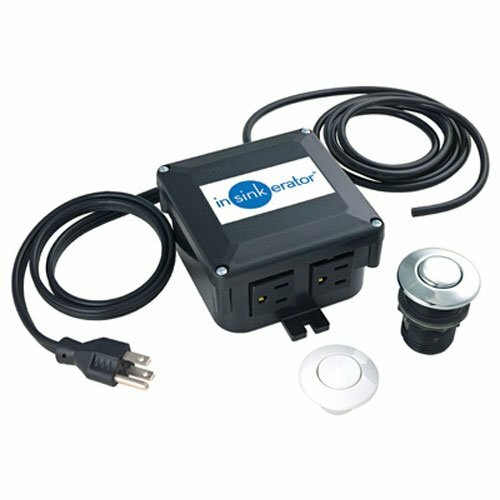 Easy to reach sink top switch, convenient alternative to a wall switch, the stylist sink top switch is air activated & easily mounts to the sink or counter top, perfect for Island installations & works with any disposer, unique 2 outlet design makes it a great power source for a hot water dispenser, kit includes chrome & white finishes to match most decors. 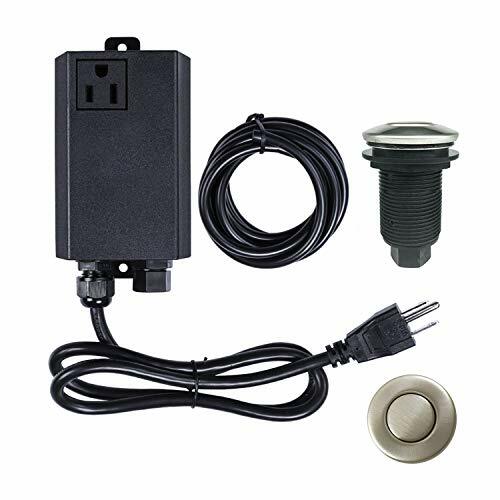 Product description: About products: Air Switch Kit is connection device as a part of garbage disposal, massage chair,or jacuzzi.Note: Once you have any problems after receiving products, please be free to contact us with e-mail. No Batteries Required: Adopt newest energy harvesting technology, no batteries required; one push on,one push off. 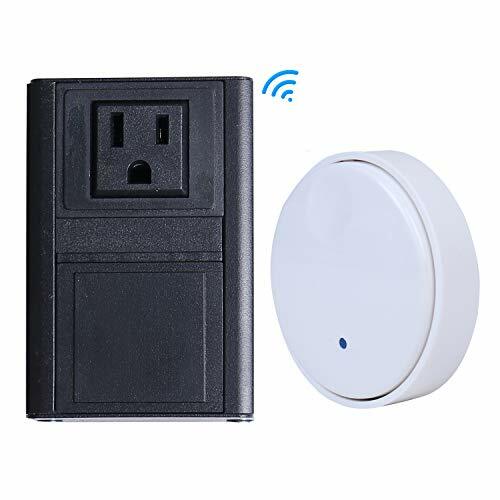 Note: This wireless switch can be used for all devices,especially for garbage disposal, and the effective control distance of wireless control switch is within 15m. BESTILL means best deal, DIY your kitchen at the most cost-effective price. In order to meet people's preferences for customizing their own kitchens, BESTILL offers a wide range of kitchen accessories. 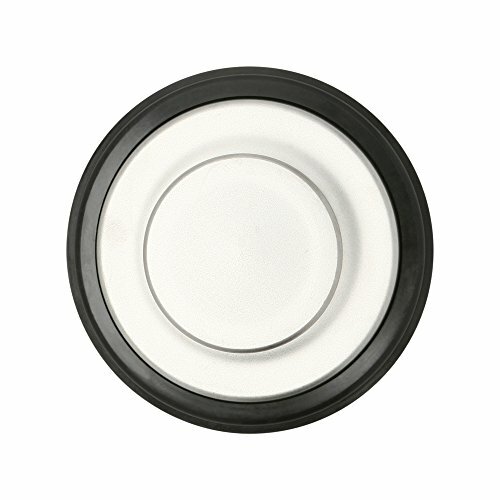 This air switch button is one of the kitchen fixtures we sincerely recommend to you today. Currently, we provide 6 finishes for you to enhance the overall appearance on your Kitchen Sink and Faucet at an affordable price. Available in 6 colors: Brushed Nickel, Polished Chrome, Brushed Gold, Antique Copper, Matte Black, Oil Rubbed Bronze. Solid brass construction. Unlike stainless steel, this high grade quality material is more sturdy, Anti-Rust, Wear Resistance and Waterproof. 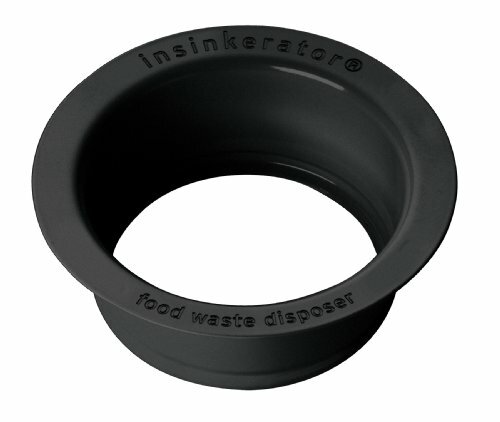 Fits any brand or model of food waste disposers, perfectly well for Insinkerator, Waste King, Moen, GE and so on. 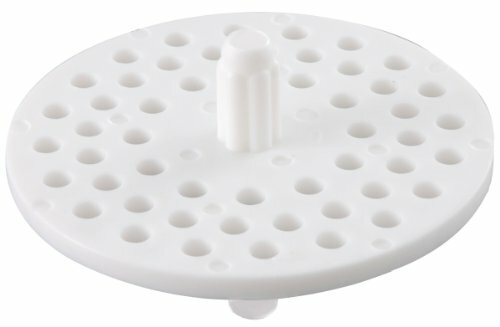 Easy to install, mounted to your countertop or sinktop by drilling a 1-3/8 inch diameter hole. 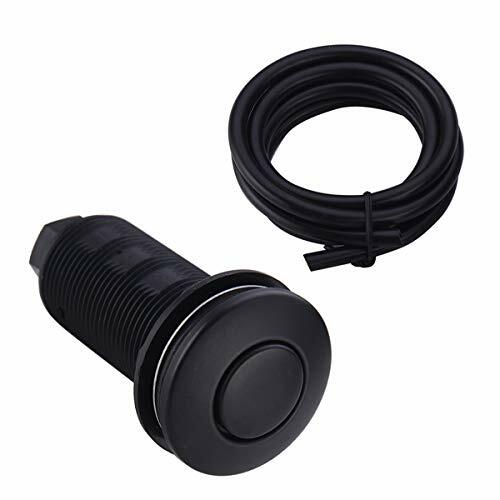 Connect air pressure switch button and power module via air hose and push the air hose tightly onto the molded protrusions. Comes with 5-Feet Air Hose, so you no longer worry about the Air Tubing is not long enough. 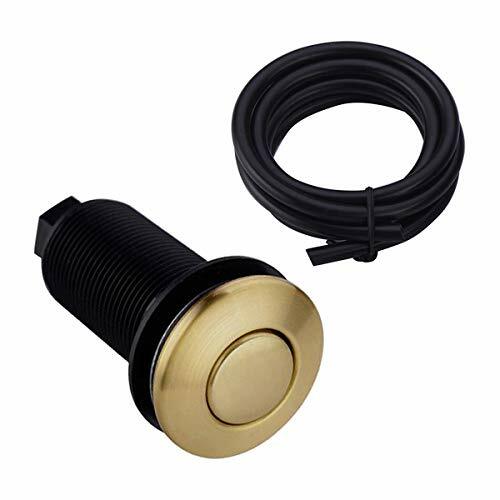 DURABLE MATERIAL - The Cover of Air Activated Switch Button for Food Waste Disposer is Solid Brass Constructed, with Matte Black Finished. 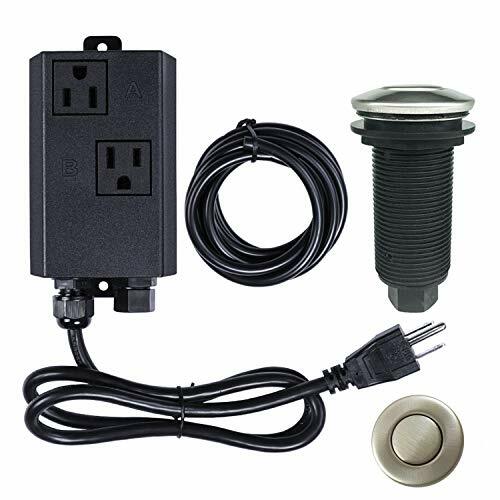 HIGH APPLICABILITY - Air Switch Button works with any brand of Garbage Disposals, perfectly well for Insinkerator, Waste King, Moen, GE, Kitchen Aid, Whirlpool, Waste Maid, Emerson, Goplus, Frigidaire, Yescom, BECBAS and so on. 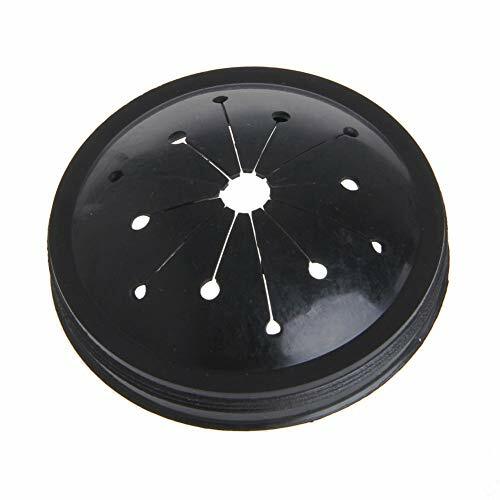 EASY TO INSTALL - Garbage Disposal Button can be mounted easily in your kitchen Counter Top or Sink Top by drilling a 1-3/8-Inch diameter hole. And 3-Inch extra long body allows you install on thicker Countertop(but thinner than 2-1/5-Inch). LONGER AIR HOSE - The Push Button comes with 5-Feet Air Hose, so you no longer worry about the Air Tubing is not long enough. 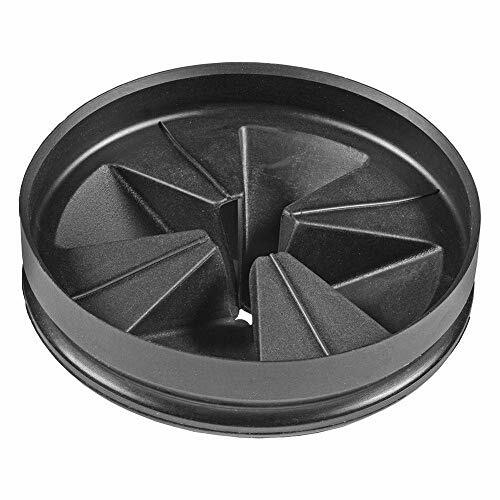 Garbage Disposal Strainer. 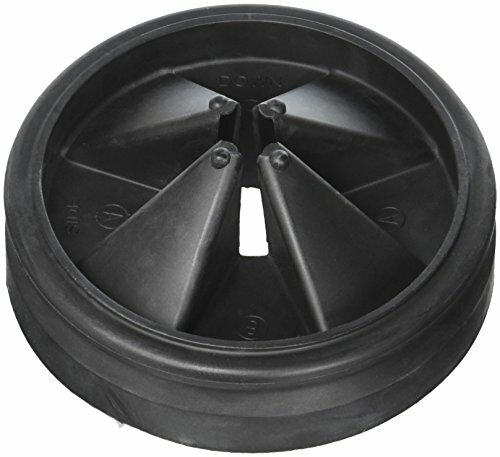 Made from a Rubber construction and High impact plastic. Fit all design. Easy do-it yourself installation instruction. 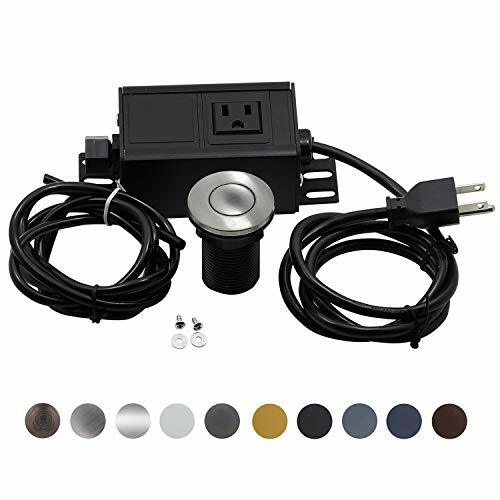 Etoolcity Single Outlet Stainless Steel Brushed Nickel Air Switch Kit Let You Deal with Sink Garbage easier. 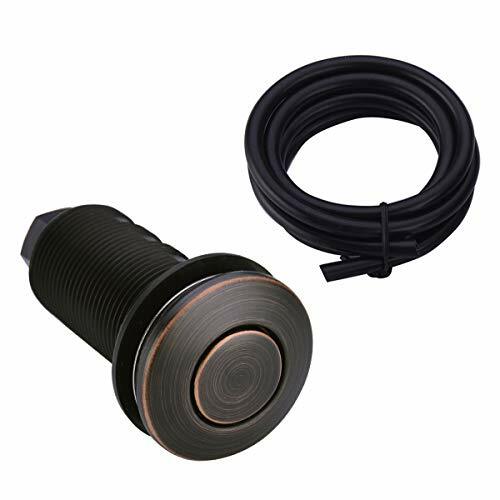 DURABLE MATERIAL - The Cover of Air Activated Switch Button for Food Waste Disposer is Solid Brass Constructed, with Oil Rubbed Bronze Finished. 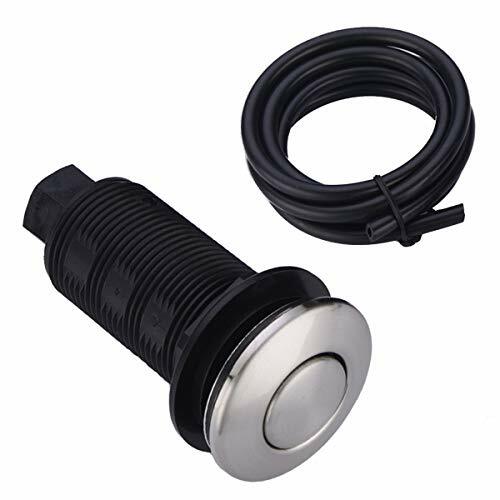 DURABLE MATERIAL - The Cover of Air Activated Switch Button for Food Waste Disposer is Solid Brass Constructed, with Brushed Nickel Finished. MULTI-COLOR - Available in 6 colors Push Button to match your kitchen sink or faucet at an affordable price. Brushed Nickel, Brushed Gold, Polished Chrome, Oil Rubbed Bronze, Matte Black, Antique Copper. 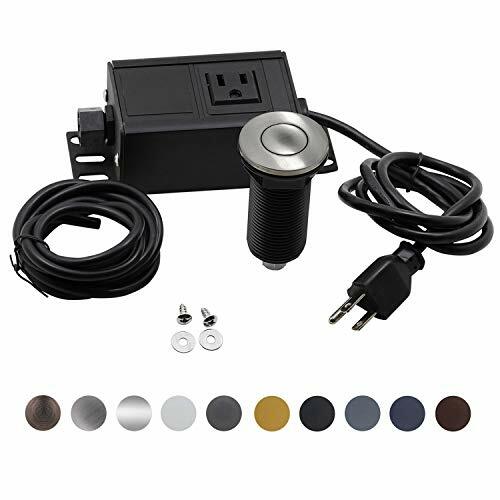 Etoolcity Dual-Outlet Brushed Nickel Air Switch Kit Let You Deal with Sink Garbage Easier. DURABLE MATERIAL - The Cover of Air Activated Switch Button for Food Waste Disposer is Solid Brass Constructed, with Brushed Gold Finished. Genuine Original Equipment Manufacturer (OEM) parts! 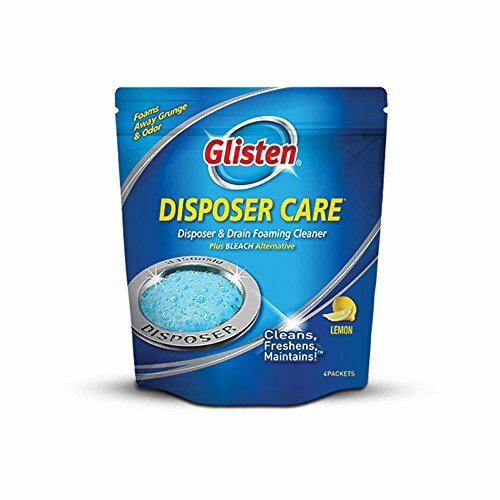 Glisten Disposer Care (part number DP36) rids your garbage disposal of grime and odor. Glisten Disposer Care DP36 is a foaming cleanser that's safe for all types of plumbing. Follow the instructions on the label when using this product.